The island of Mauritius, just east of Africa, is perfectly placed for an amazing Bush & Beach experience. 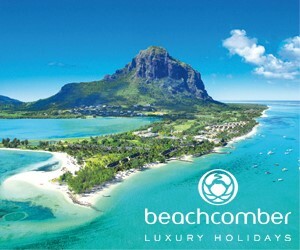 Beachcomber Hotels offers a truly Mauritian experience with eight amazing beachfront resorts providing exceptional value honeymoons and weddings. Newly-wed couples love the new exclusive Adults Only wings at the Dinarobin and Le Victoria resorts, which add to the privacy and romance of their tropical getaway. And when it’s time for fun, all Beachcomber’s resorts offer free land and water sports including FREE water-skiing! Each of them features a stunning Spa or a relaxing Wellness Centre specialising in local and international treatments. For the fitness fanatics, all resorts have fantastic gymnasiums. Please sign in to your account before adding this item to your scrapbook.